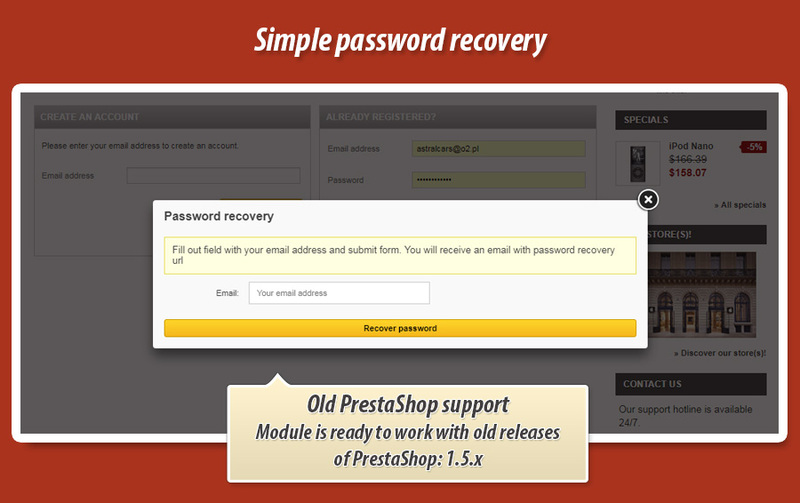 With this addon you can change the way of how password recovery tools works in PrestaShop. 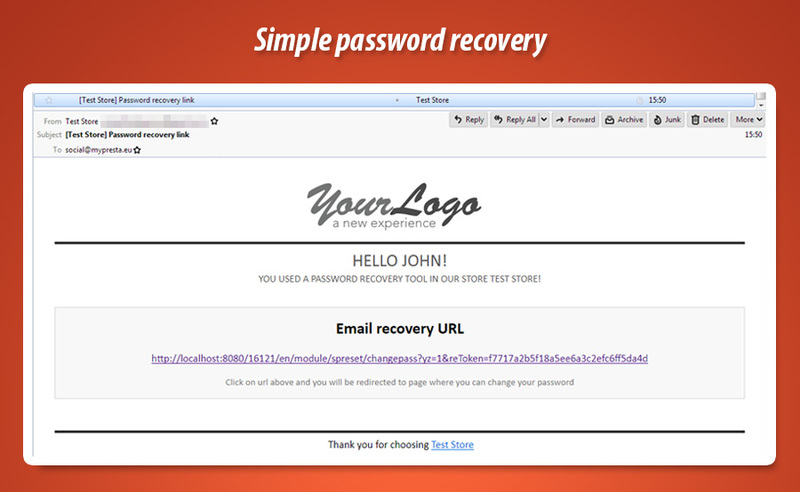 Thanks to this plugin your customers can retrieve their passwords in a more convenien way. Module sends a special url (secured with token) where users can create new password to their accounts. 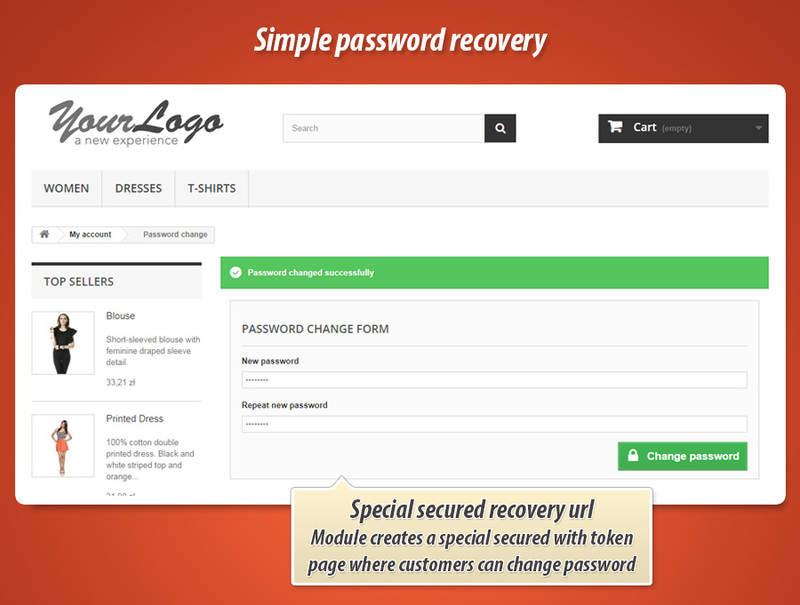 Main feature of the module is a tool to quickly reset password and change the way of how default password recovery tool works. 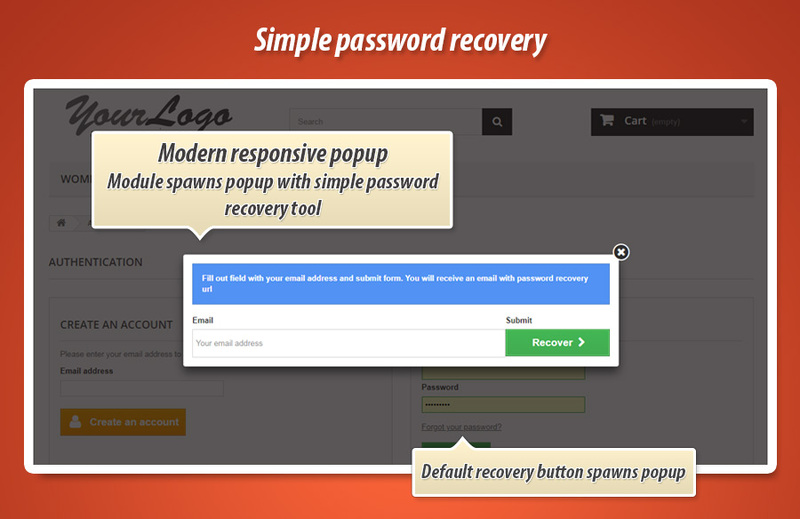 Module replaces standard "password recovery" button with a button that spawns responsive popup window, where customers can see simple password recovery tool. 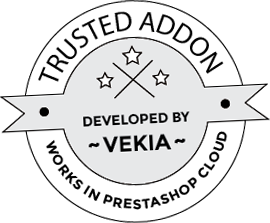 Customer will receive a special email with url secured with token. This urls will open a page, where customer can generate new password to store. 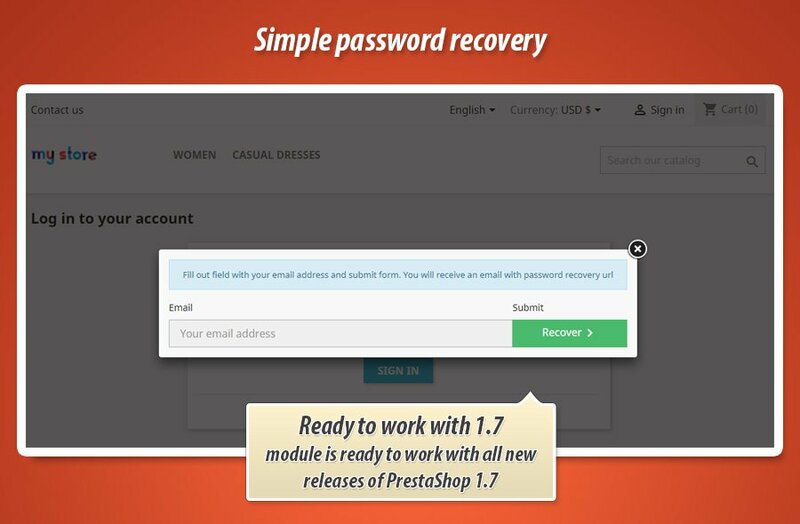 As you know PrestaShop by default generates a password automatically and sent it to customer email. 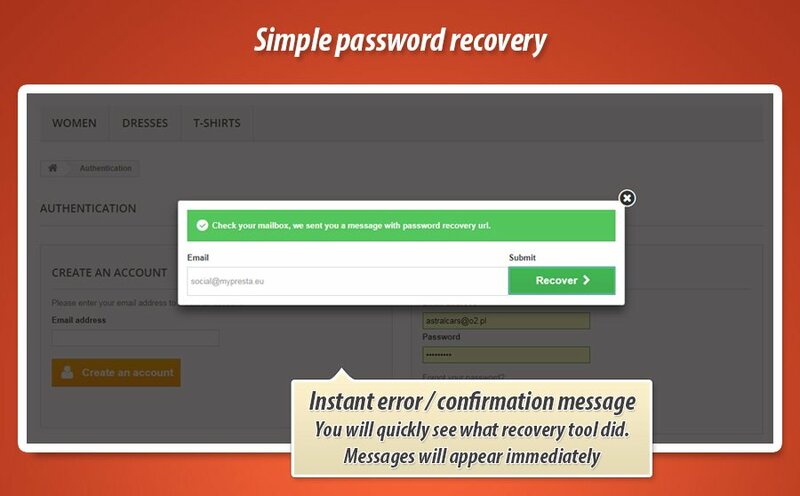 With this tool you can avoid delivery of email with password not secured (prestashop sends password in a plain text). 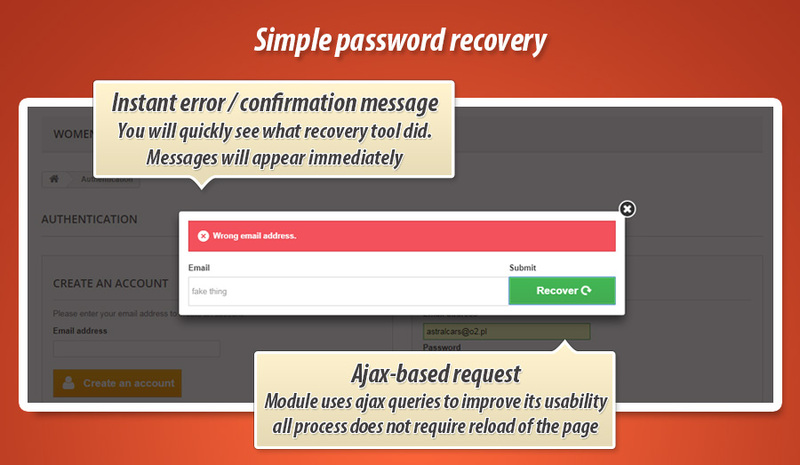 Module changes the way of how password recover tool to a more secured way.